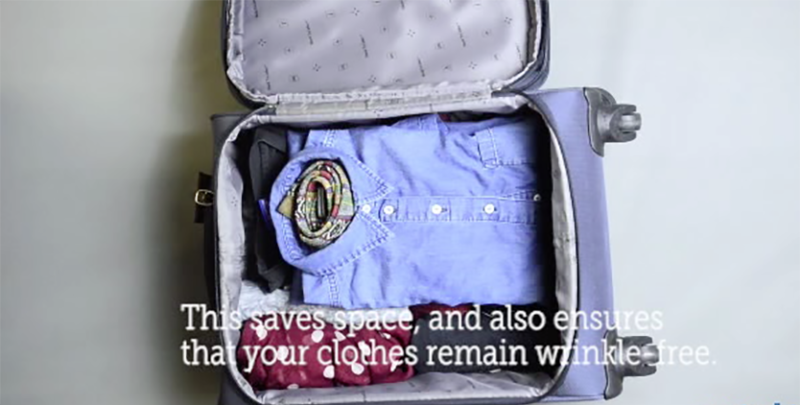 Above video: 5 tips and tricks for packing a carry-on bag. Refer to the article below for more info. Make sure that your cabin bag falls within the carry-on dimensions specified by the airline. The maximum dimensions for Cebu Pacific are 56cm x 36cm x 23cm for Airbus flights; 56cm x 35cm x 20cm for ATR flights. Ensure that your liquids do not exceed 100ml, and are packed in a clear ziplock bag. Place them in the outer compartment of your carry-on, for easier removal during security screenings. This saves space, and also ensures that your clothes remain wrinkle-free. Organize your belongings into soft pouches, to make them easier to find. Cables and cords can go into sunglass cases. Stuff underwear, socks and other small items into shoes. Place belts inside the collars of formal shirts – this also helps to keep the collars stiff. This ensures that you don’t have to squeeze them into your bag, freeing up space for other essentials. Above video: Nine things that should be in every child’s carry on bag – specifically, his or her favorite toy, snacks, art materials, yet more toys, a small bag, wet wipes, extra clothes, a hat, and a jacket!